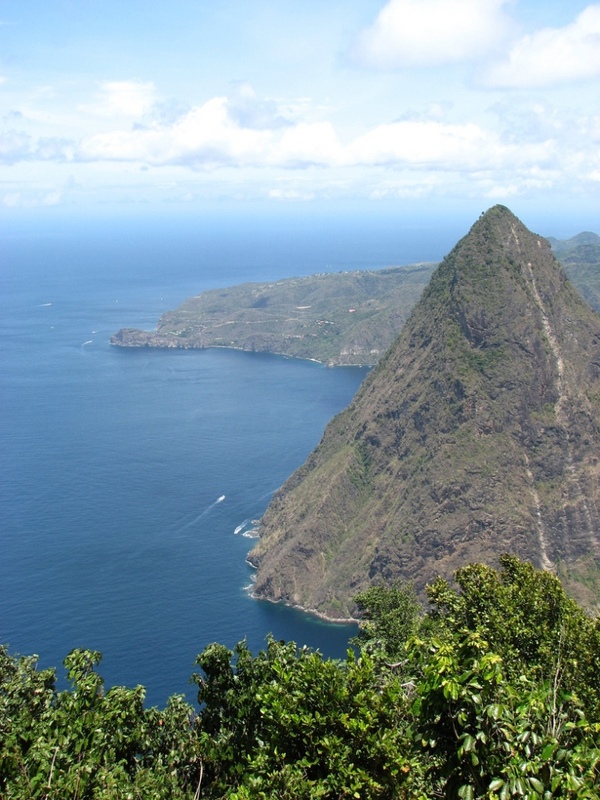 Spectacular views of St. Lucia's verdant islands from the top of their iconic landmark -the knife-like twin volcanic cones of the Pitons mountains. Steep pathways lead through dense jungle vegetation to the summit of the towering UNESCO-listed rock spires. 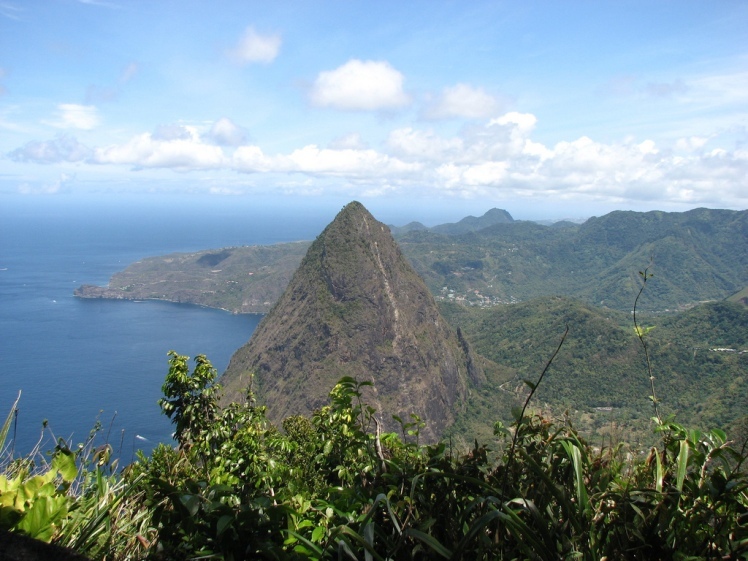 Though only 789m above sea-level, Gros Piton is a tough walk due to its steepness and the heat. It should not be attempted within six hours of rain. Guide accompaniment is required by the National Park. 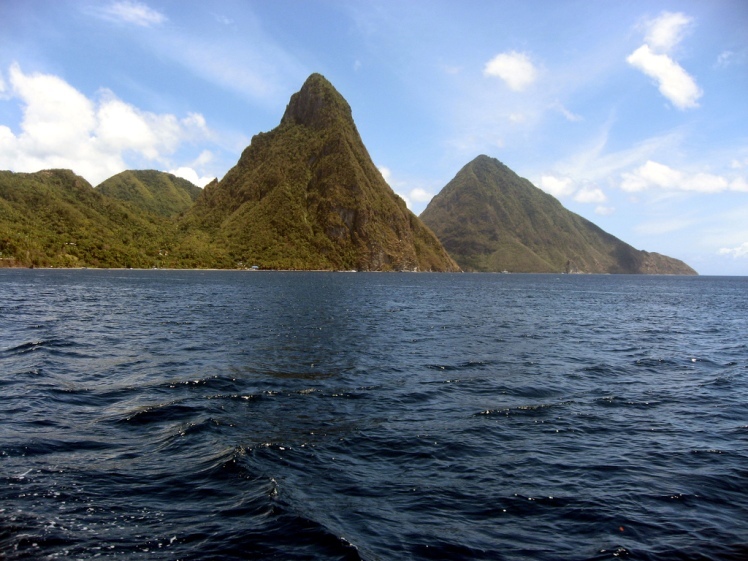 The Gros and Petit Pitons of St Lucia are iconic, two cones of volcanic rock thrust up knife-like from the sparkling surf. These, more than anything, are the symbols of this small island country; it?s impossible to find a tourist brochure that does not feature them, and yet few people actually attempt to climb them. Designated a UNESCO World Heritage Site in 2004, one can see that the mountains? near-vertical jut would be daunting, but in fact the walk up Gros Piton (Petit Piton is closed to hikers - at least officially - and requires climbing skills) represents a tough half-day climb (two hours up) for the reasonably fit, and the views from the peak of the island, the azure Caribbean beyond and, in the far distance, the island of Martinique, are unforgettable. 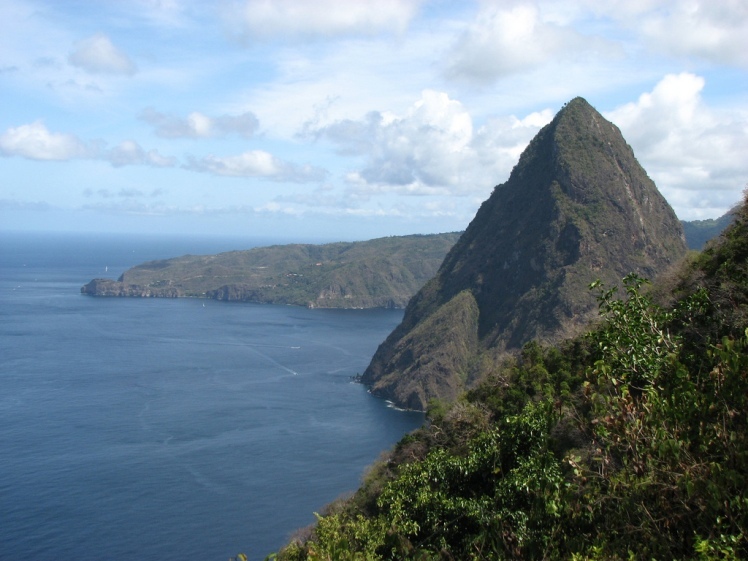 The Gros Piton Nature Trail leads from the historic town of Fond Gens Libre, whose inhabitants, many of them descended from the brigands and rebel slaves who used the area as shelter in the 1700s, can be hired as guides today - enquire at the Interpretive Centre. The trail leads up through lush, tropical deciduous woodland past buttresses of remarkable proportions, on these astounding conical protrusions from a serene and beautiful ocean. The woodland is crammed with diverse wildlife, including the St. Lucian Oriole, the St. Lucia Black Finch and the Red-necked Pigeon, and locals farm fruit and burn charcoal on the slopes. Many people give up at the first viewpoint, halfway up the ascent - the trails gets significantly tougher from hereon in - but the incredible panoramic views as you emerge onto the summit justify the pain of reaching them: the marvelous coast sweeping away, the lush vegetation extending right down to the shore. The sky is radiant, huge, and the sea deep and pure. 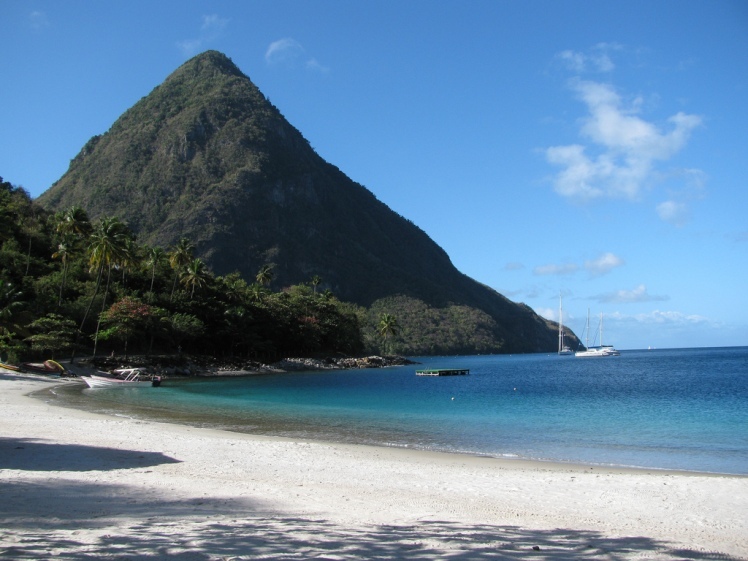 St Lucia has a rich and chequered history of French and then British colonialisation, of pirates and brigands and a heroic slave rebellion. It is a heady concoction of cultures -which can occasionally lead to a level of lawlessness of which one needs to take a modicum of care. Sadly, this means that many of the island?s visitors stick to the resorts, mainly on the North coast, depriving themselves of a fascinating glimpse of extraordinary flora and fauna, geological marvels and a riveting, melting-pot culture ? and of course meaning that most of their much-needed tourist dollars get siphoned off to holding companies and never hit the local economy at all. 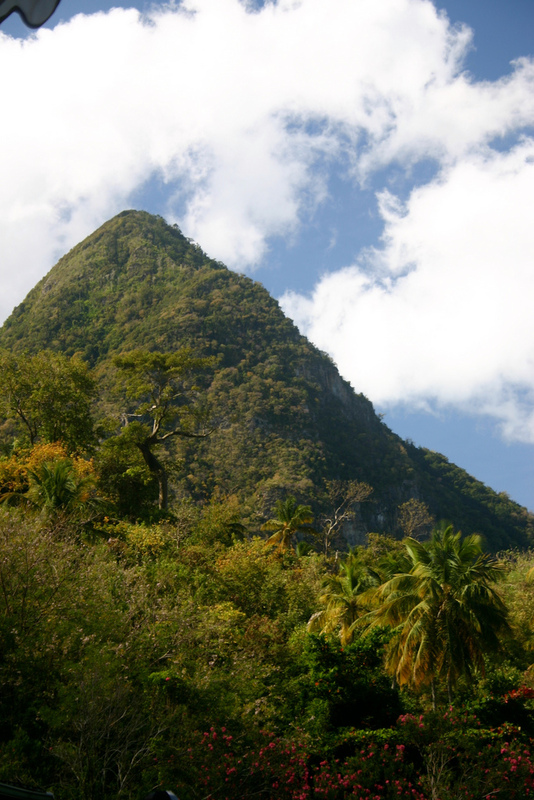 For anyone of a reasonable level of fitness, the walk up the Gros Piton is a must, if you are visiting here. The sulphur from the nearby active volcano, Mt. Gimie, can occasionally be noxious.